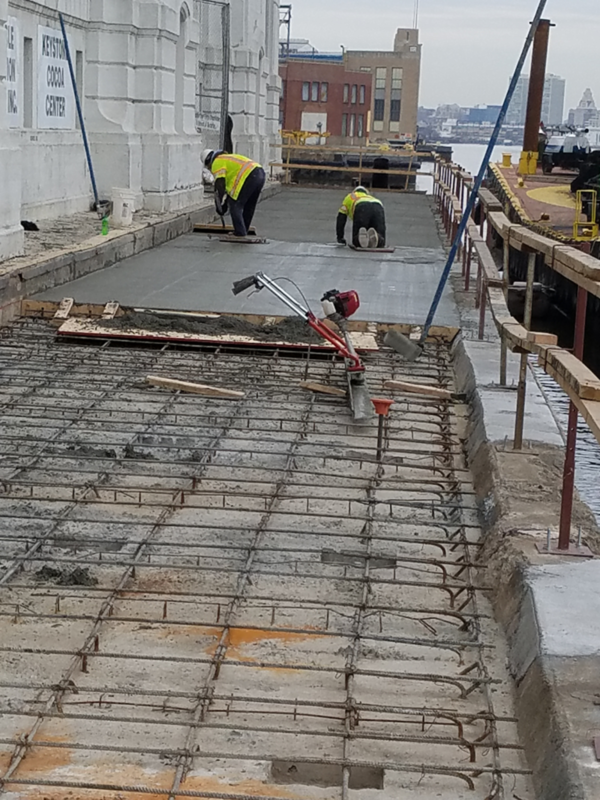 A majority of the work zones are in a tidal areas, therefore multiple work locations are only available for 4 hours at a time. 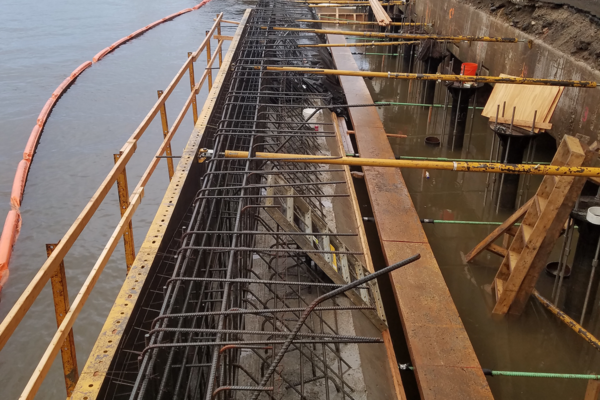 Along with the workers needing to leave the work zone, all material, equipment and tools must clear the area prior to the river water encompassing the zone. 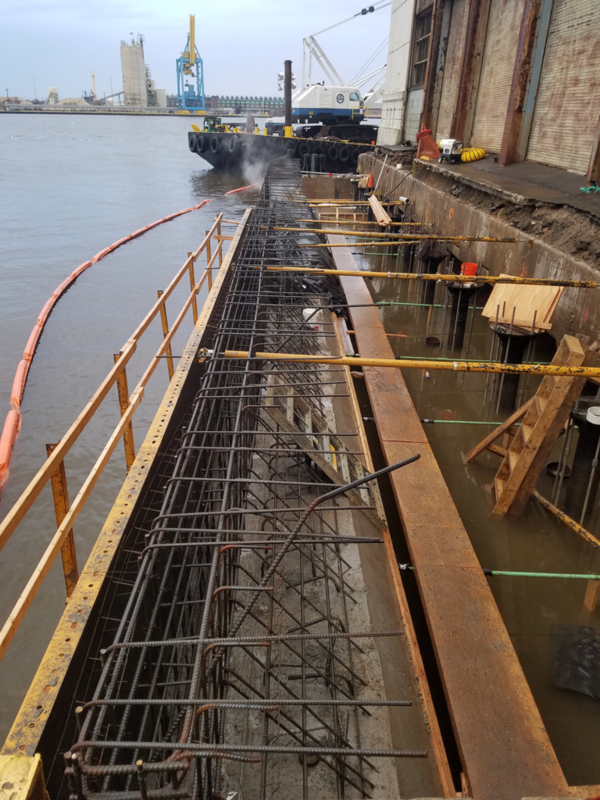 Due to Pier 84 being an active warehouse, scheduling and sequencing work around the tenants doings has been and will continue to be a challenge. 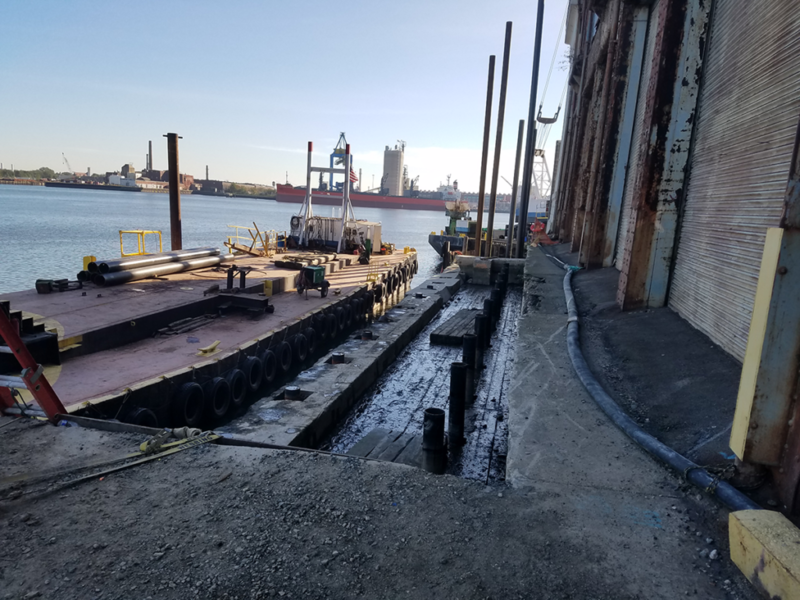 South State, Inc. was contracted by PhilaPort (formally PRPA) to perform rehabilitation work to Pier 84, which was built in 1919 and is currently an active cocoa bean receiving facility. 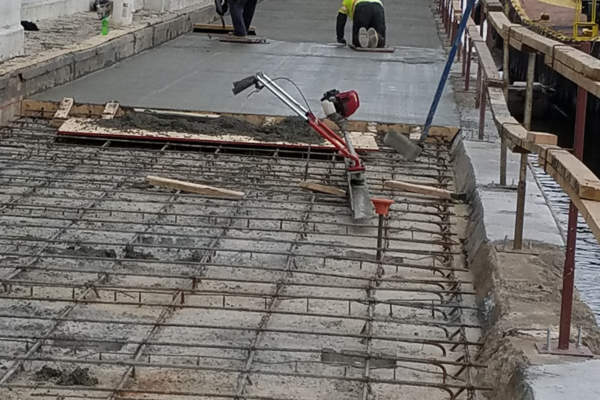 Our interior rehabilitation work consists of providing a new structural warehouse floor slab, which is supported by 382 micropiles and topped with an asphalt overlay. 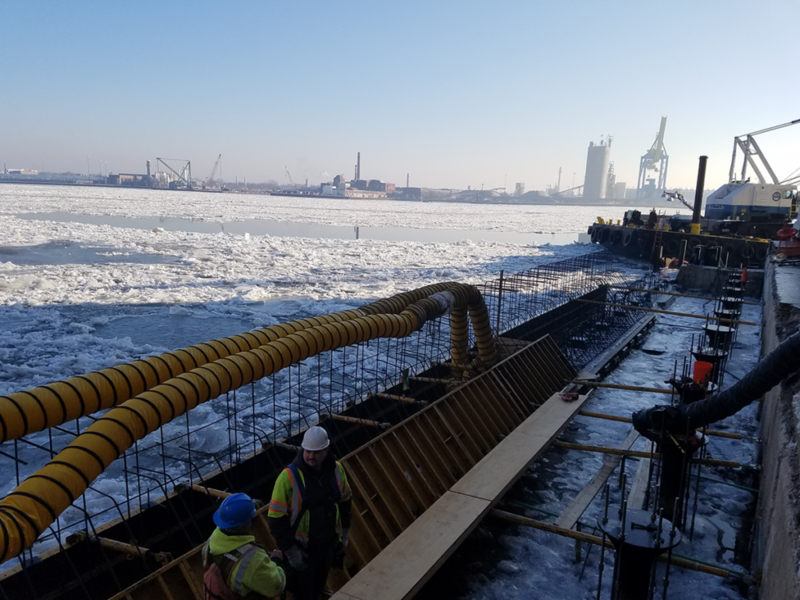 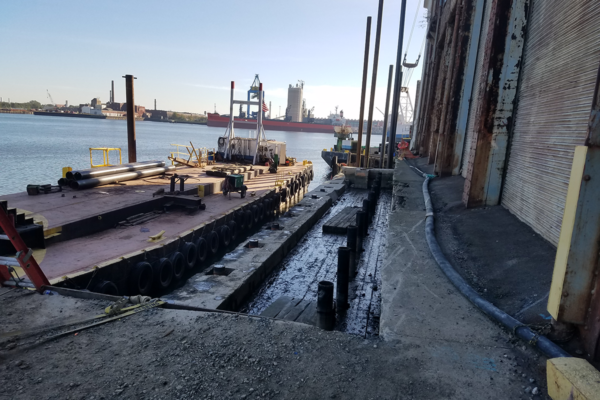 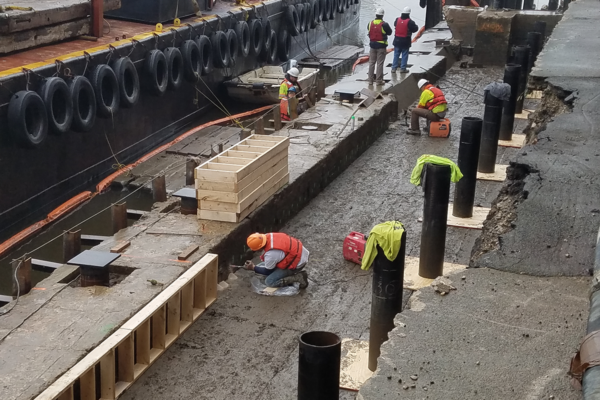 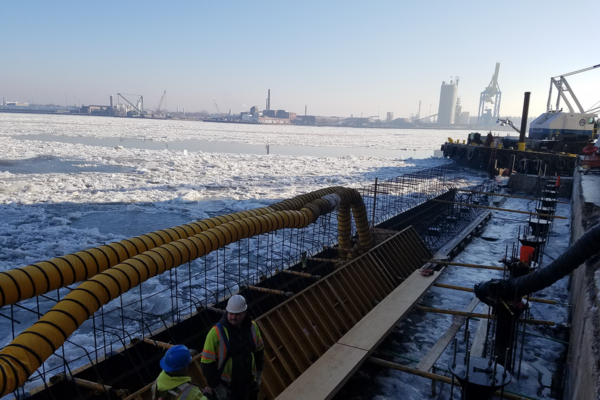 Our exterior rehabilitation work consists of installing new steel pipe piles (12”, 16” and 18”) which will support the Outshore Apron, the Upriver Apron and the new pipe bollard at the Northeast Corner. 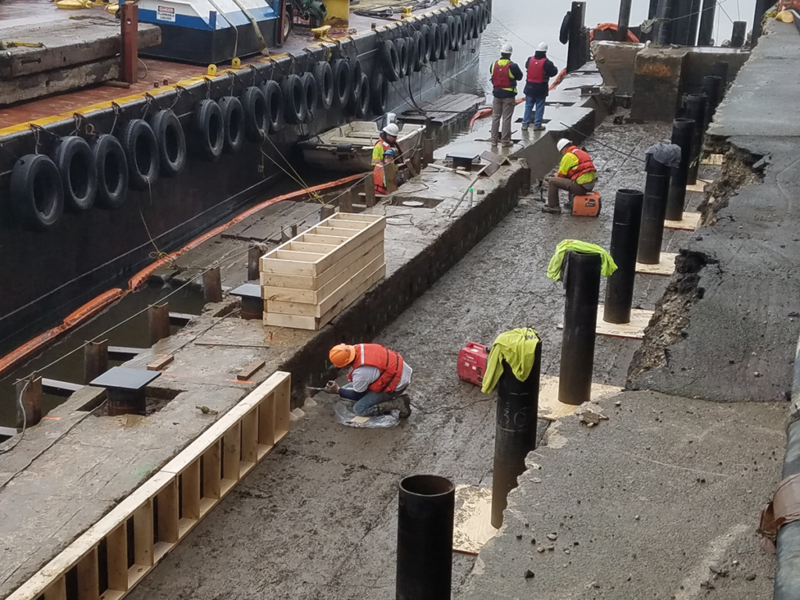 A new concrete slab will be poured on the existing timber decking; the seawall will be renewed and a new concrete slab will be placed at the deck elevation.